There is something incredibly special about reconnecting with old friends. 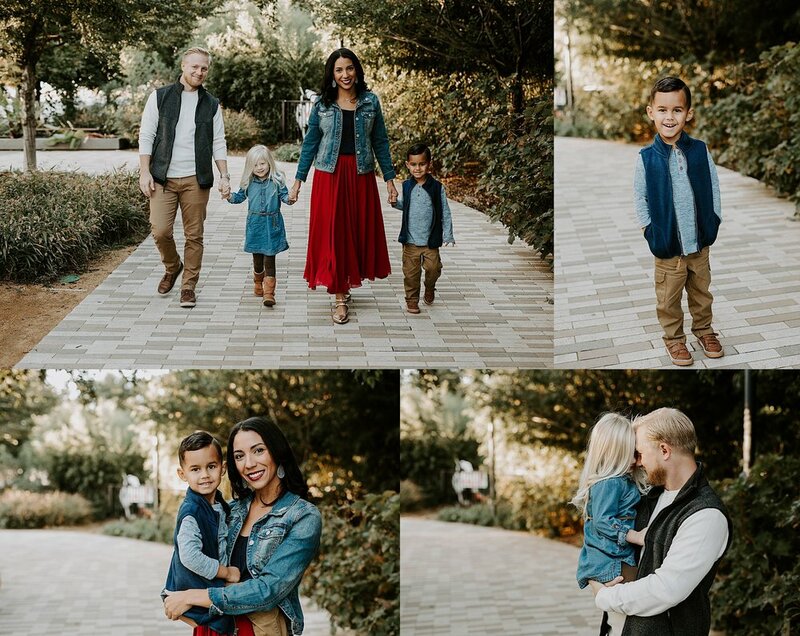 When Joyce contacted me for a family session I was thrilled. We worked together years ago when we were both pregnant with our boys. Due to military relocation, I hadn’t seen her in years. Visiting Oklahoma and getting the chance to not only see her again, but also capture some family pictures for her was truly special. We all knew the biggest hurdle would be getting everyone to happily participate early in the morning. Joyce knew “getting two toddlers on board at 7:30 in the morning would be a struggle,” but all our worries were for naught. Despite the early hour, the kids rocked it and in Joyce’s words we “captured some amazing moments.” All in all, the entire process was smooth and fun. Just look at those sweet little smiles. Finding out which image is a client’s favorite is always a highlight for me. You never know exactly what will strike a cord. It might be an expression, or something that triggers a fond memory from the session. For Joyce it was this sweet image of her family strolling hand in hand. By the end of the session there was no doubt in my mind that this family would love their gallery. Feedback is important to me, so when families describe their experience as “great” and say things like they are so grateful for both me and my work, it is extremely gratifying. Sessions like this remind me why I love what I do so much. I really do love my job and I would be honored to capture your family. Please message me if you are interested in scheduling a session for your family.